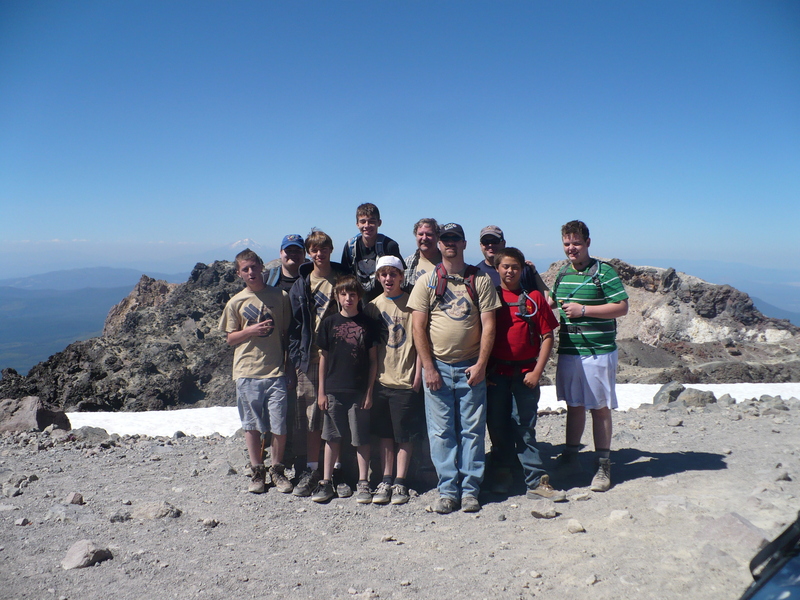 Back at the end of August, the scout troop I am involved with hiked to the top of Mount Lassen in Lassen Volcanic National Park. 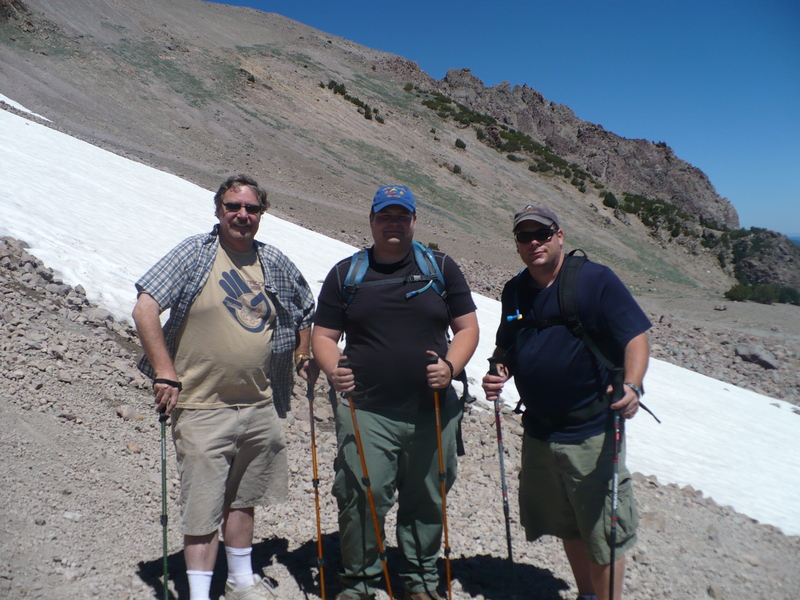 Our group had been building up in the months prior with more and more challenging hikes. We started with local trails around a nearby lake and then stepped it up with a 7 mile hike in the coastal Samuel P Taylor State Park. I did extra work because I was out of shape, including mountain biking and starting a running program. We went up on a Thursday and started to acclimate to the elevation. We took a brisk three mile hike. 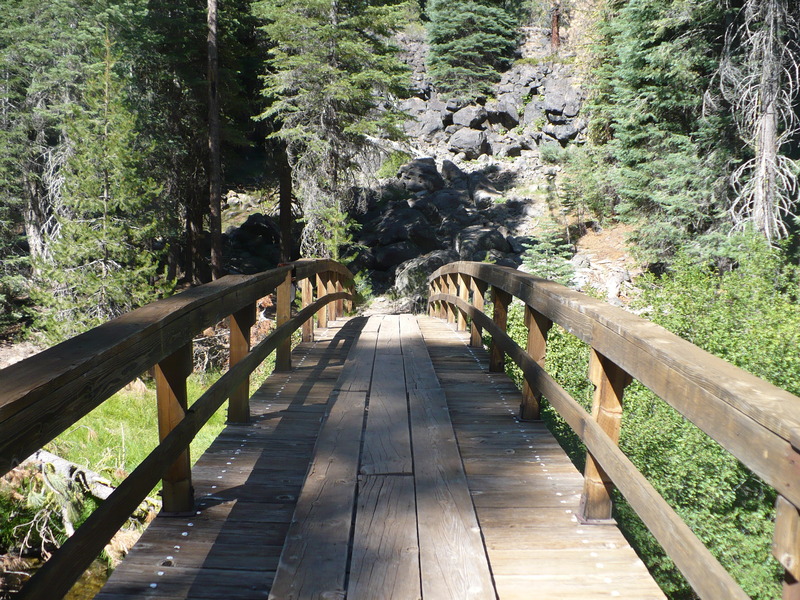 What I soon found was the elevation had a big impact on how I felt on the trail. Our pace was moderate, but it felt strenuous for the majority of the hike. 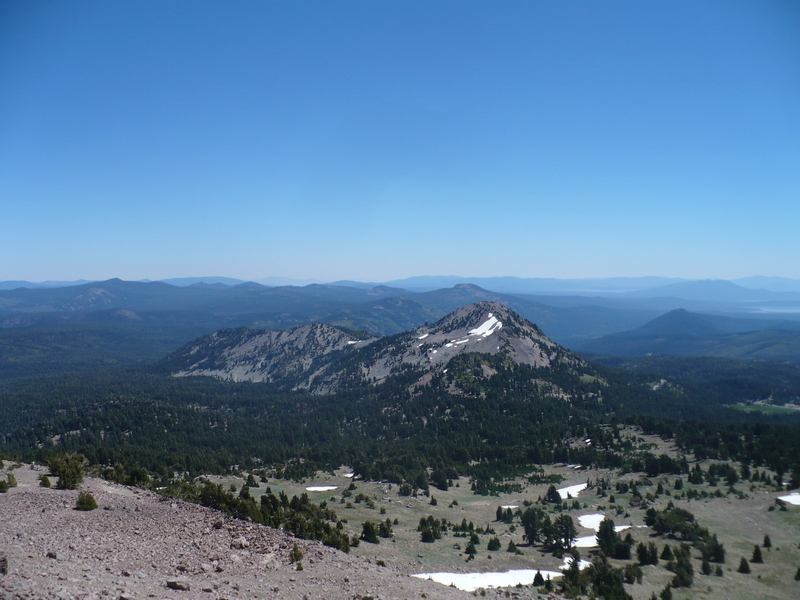 Our hike lead to a ridge where we could see Lassen peak in the distance. I was tired but I was not going to come all that distance to not climb the mountain the next day. As usually happens with a group of teenagers, we didn’t exactly get off to an early start. But it was still early enough in the day when we arrived at the park. 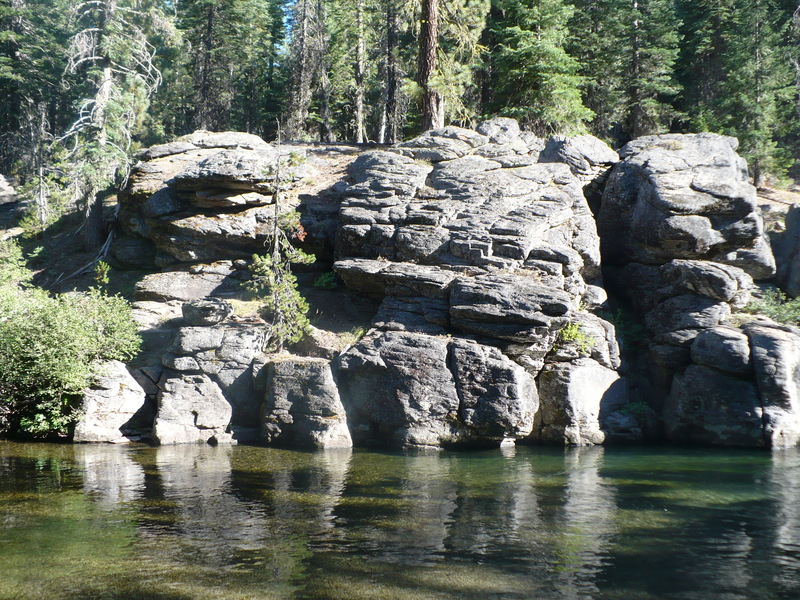 When we entered the park we were greeted by an almost immediate shift in the scenery and landscape; We transitioned from dense pine forest into rocky spans dotted by trees. 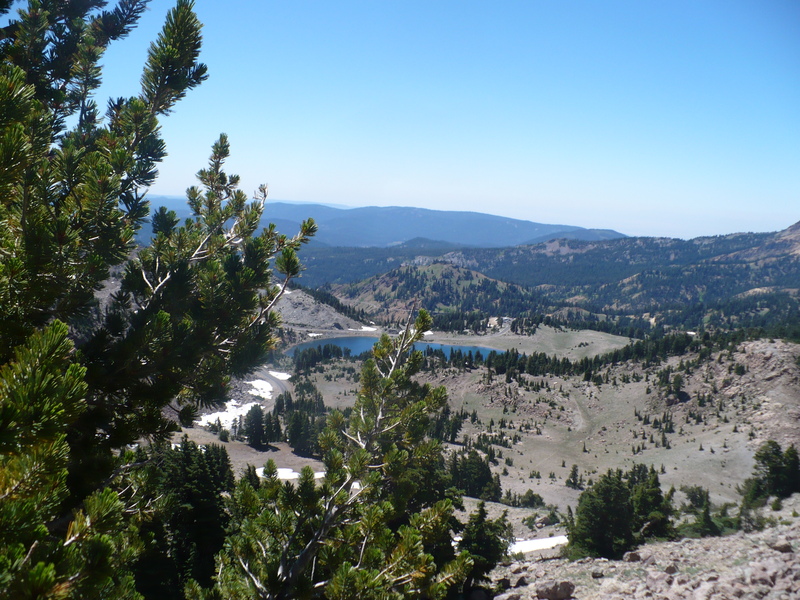 Within a few turns we were greeted by smell of sulfur from Bumpass Hell and a sulfur vent near the road. 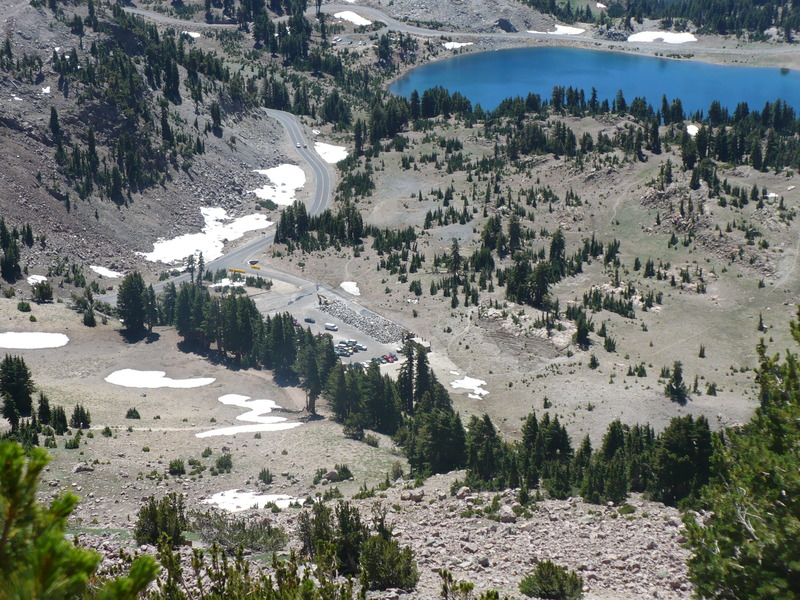 The parking lot for Lassen was a few miles away. 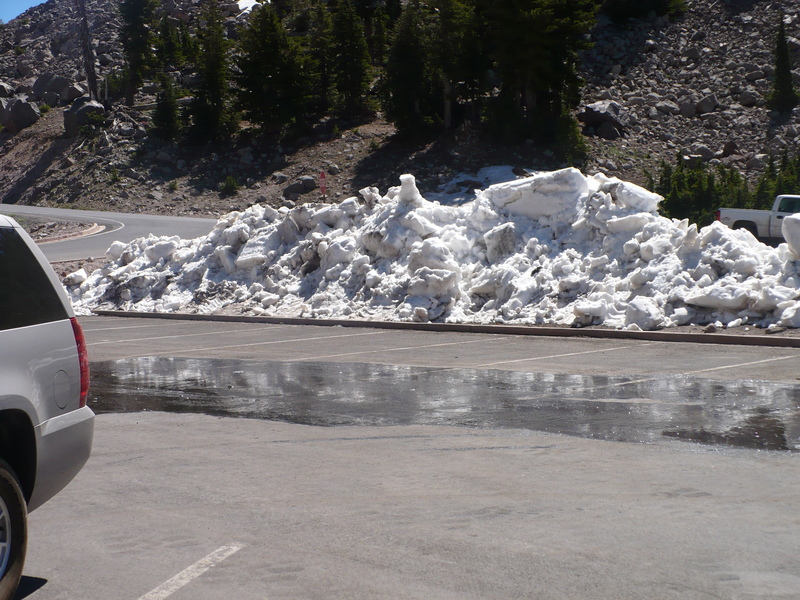 One of the biggest surprises were the piles of snow in the parking lot. Right out of the parking lot we got a taste of what the extra elevation was going to do for us. The first hill left me reconsidering my decision to hike this mountain. 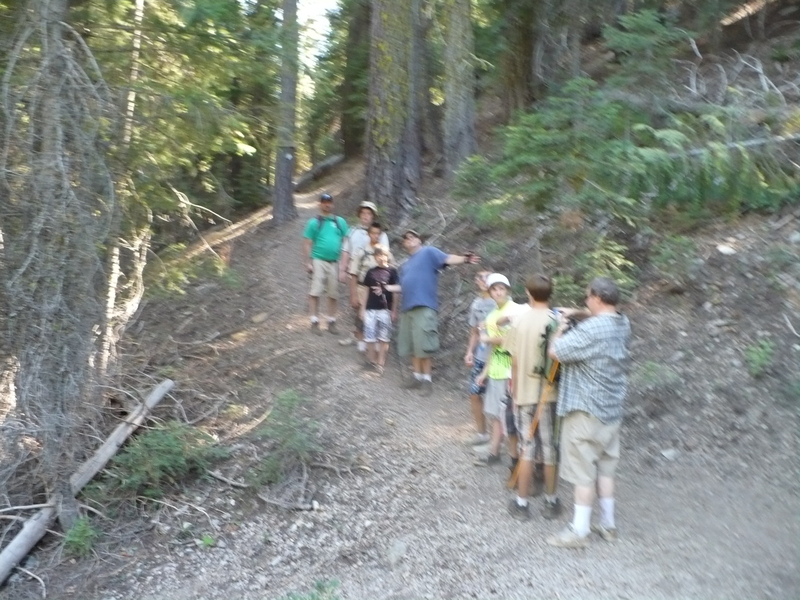 We gathered on the first hill and split into ability groups. I happily went with the slower group and we started our trek up the mountain. 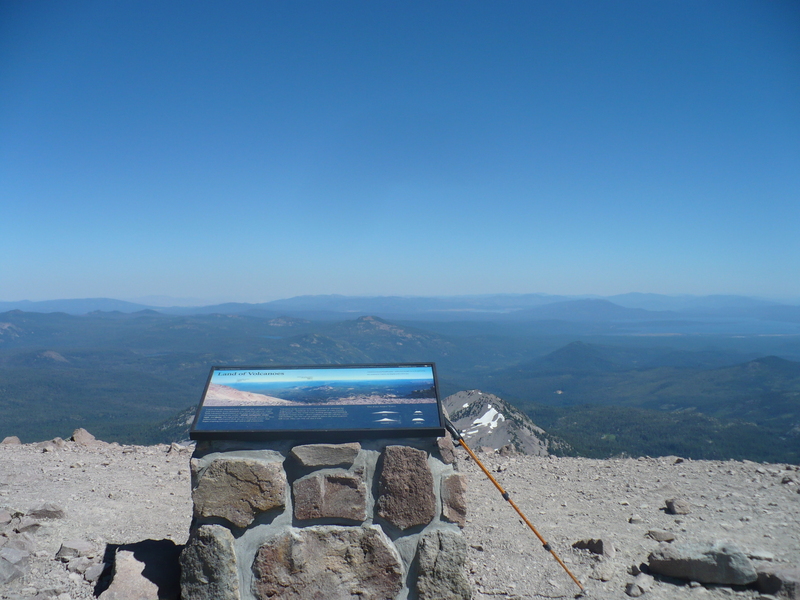 As you wind up the mountain you are able to use nearby Brokeoff mountain and surrounding lakes for reference points on distance and elevation. 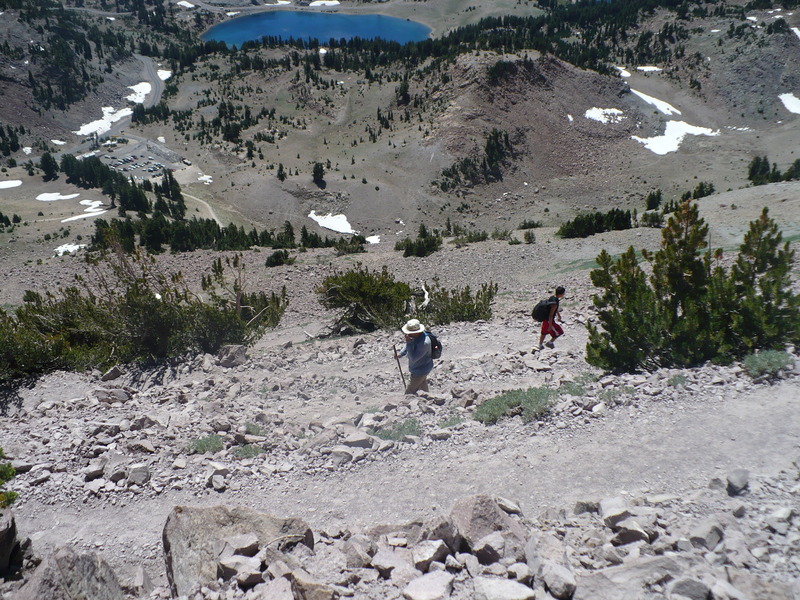 There were a lot of people on the trail that day with someone passing or coming down every few minutes. As we ascended the became more and more frequent. The grade was getting steeper and the elevation was adding to the fatigue. 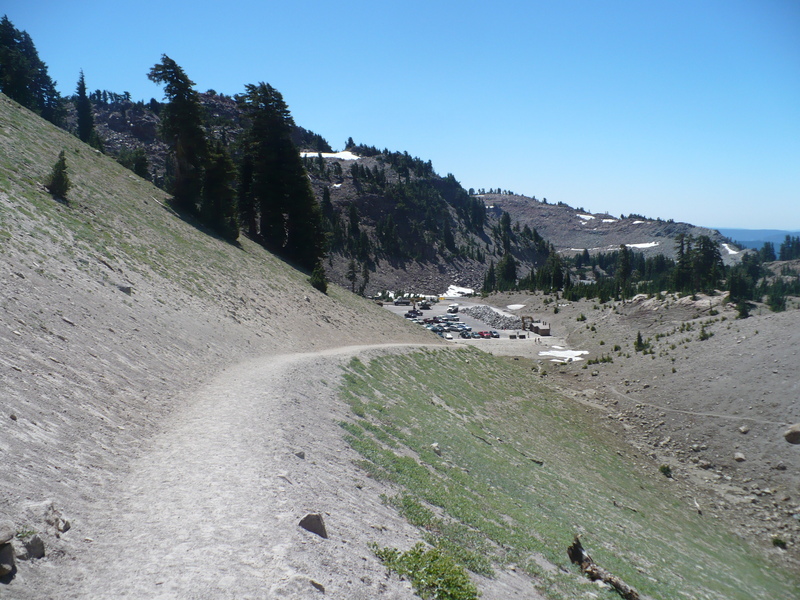 At one point the switch backs became even more dramatic and we were reminded that Lassen was still to be respected. We started to stop at the end of every switch back. Our water was being consumed quickly. Soon we were stopping in the middle of each switchback. Then at one point I had the overwhelming feeling to stop. Even though I was perhaps 1/4 of a mile from the top, I felt like I had had enough. I sat down and tried to collect myself. The other group was surely waiting at the top. An adult friend in my group encouraged me to go on. The two 13 year old scouts in our group also encouraged me along. They were with me every step of the way. I gained a tremendous amount of respect for those three that day. With their encouragement I pressed on. At last I reached the peak. I was overcome with emotion and relieved that I didn’t quit, that I finished what I cam there to do. The summit was beautiful. 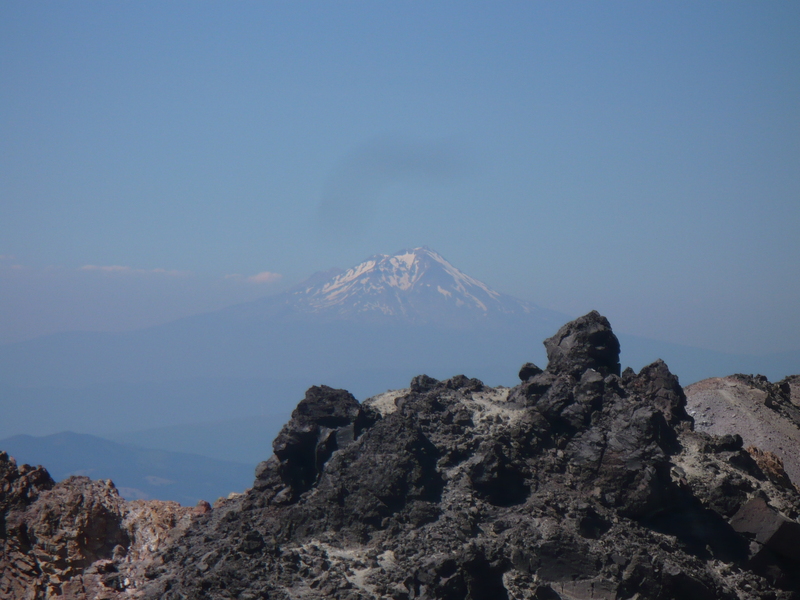 When I gained my composure I could clearly see Shasta off in the distance. Will that be in the future? 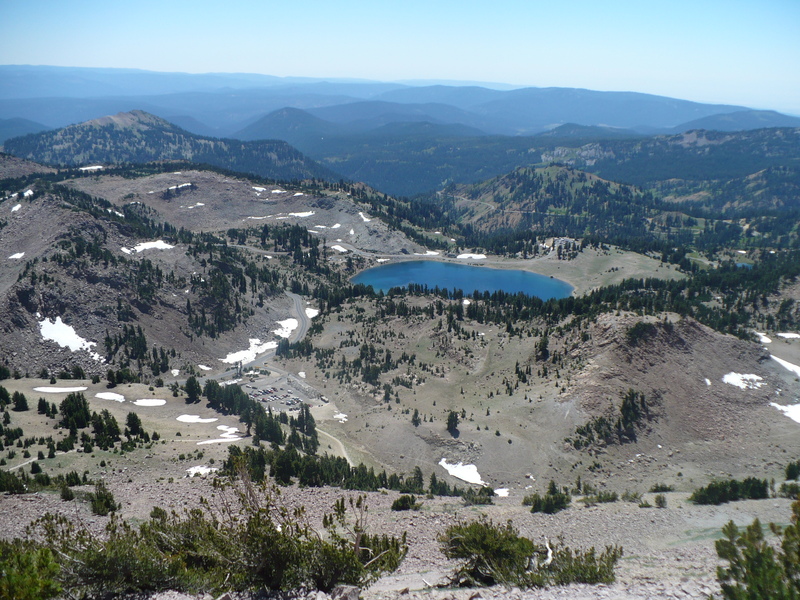 Perhaps, but I also knew that I would need to make a large increase in my fitness preparations, and perhaps a few more mountains in the mean time 🙂 I am delighted to have hiked Lassen. It is etched in my memory as a wonderful place. Practicing our trail skills near Domingo Springs.